This is my ELF haul from House of Flair. 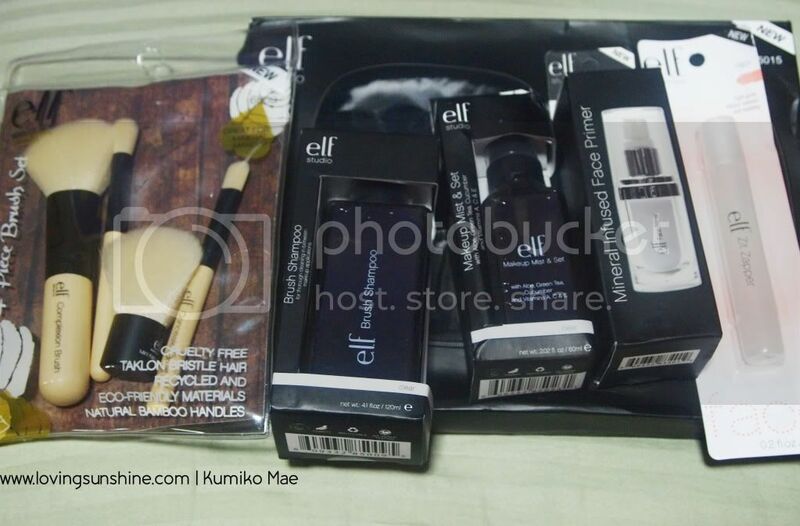 Although ELF is available locally, a lot of their items aren't and for the sake of convenience, I buy from HOF every now and then--plus because the owner is a friend, actually I got acquainted with her when I won a tarte mini lash from her FB page, then later on she won a Php30k worth smile from mine! :) I love making friends. I would be talking about each of those items, but I would like to kick it off with the ELF Bamboo Brush set. Price is available upon request, to those interested. You may visit www.houseofflair.multiply.com :) Suyen doesn't know this, but if she's reading my pimping blog, hello dear! Let us read the little details written on the plastic case. 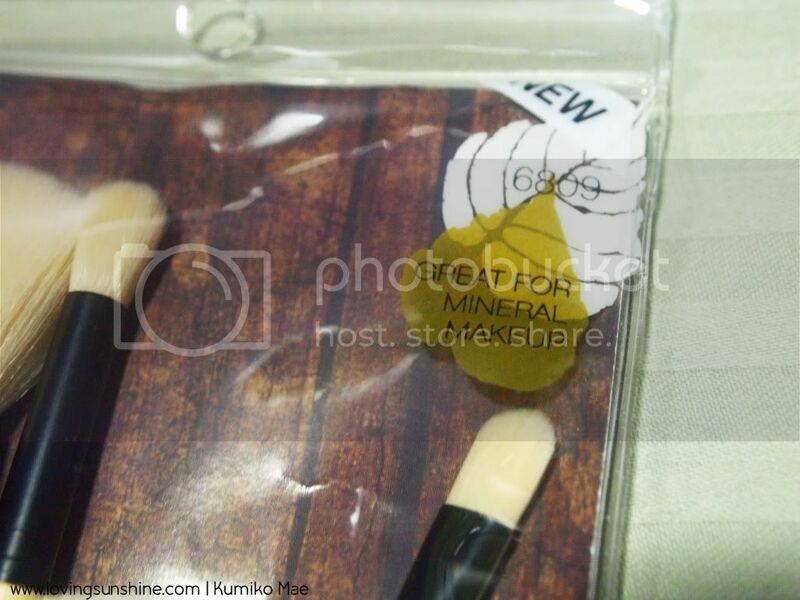 I love Mineral Make-up... and I love anything Eco-friendly. Besides the plastic case, the set includes a take-away pouch. 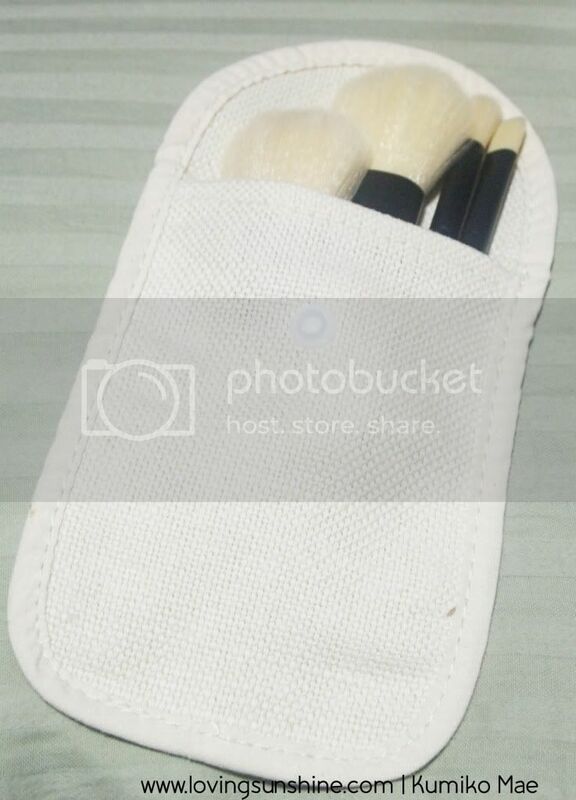 It's handy and to me it's not so much as a brush pouch because it's so soft, you can easily damage the brush hairs in case you accidentally have it stuck somewhere in your bag. It's also very white/cream so you would have to clean it a lot. BUT it's a perfect fit. 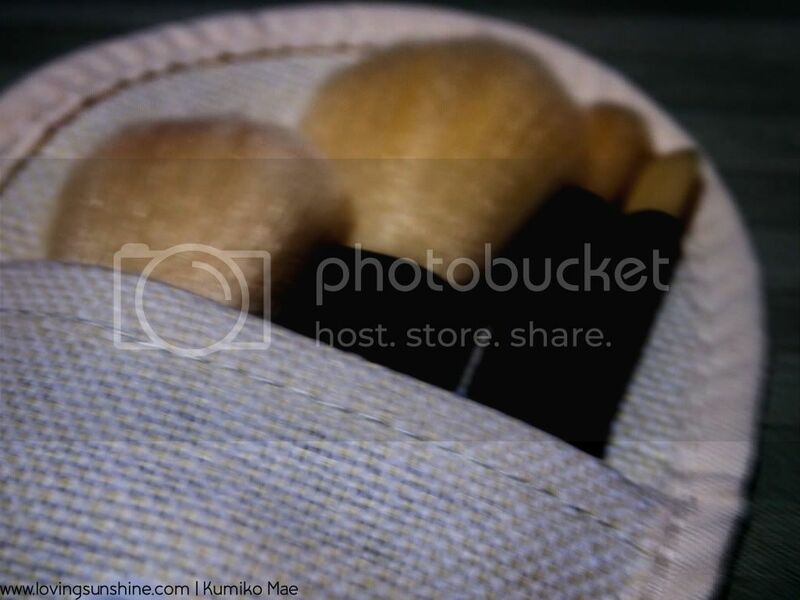 It looks like a sleeping bag for the brushes. The woven detail of the pouch is charming though, edited lighting so you could see the detail. Here they are, taken out of the pouch. 1. baby buki--because the set is pretty much for mineral make-up, you've got to have a buki in it. This is super super soft. The brushes doesn't scratch the face at all! And although the bristles are white, they are very easy to maintain. I love taklon hair! 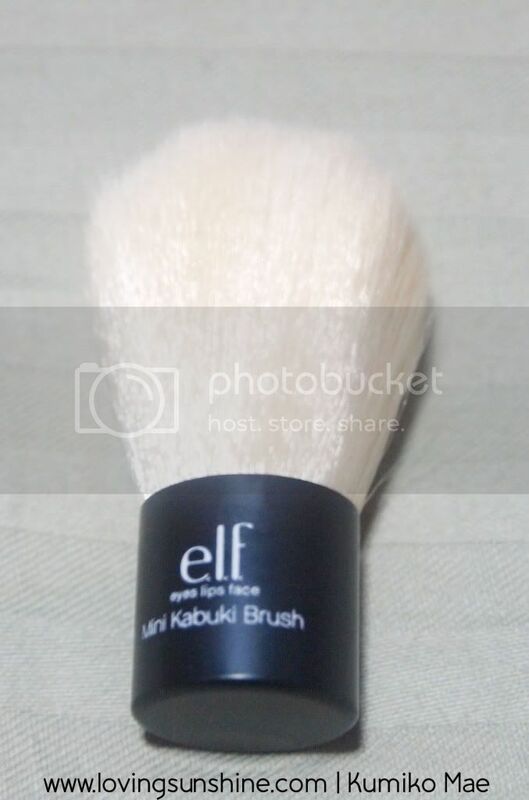 2. face brush--you can use this to apply your powder, apply highlighter, apply blush, apply bronzer and buff away make-up so your face is smooth and perfect. Similar to the buki, very soft and easy to clean! I love the chubby handle because it is easy to maneuver despite the length. 3. blending eye brush--I love using this of course to blend make-up around the eyes. This brush is also great for soft application of very harsh colors/pigments like dark violets, blue, black and more. 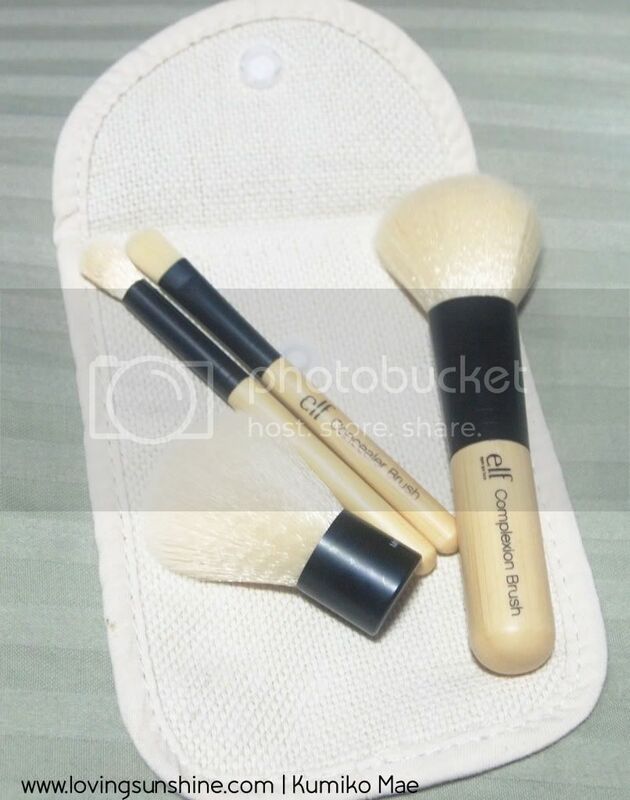 4. concealer brush--as essential as buffing is, to achieve a perfect face, sometimes we need a concealer so having a concealer brush in your travel kit is very helpful. You can also use this to apply creamy shadows. 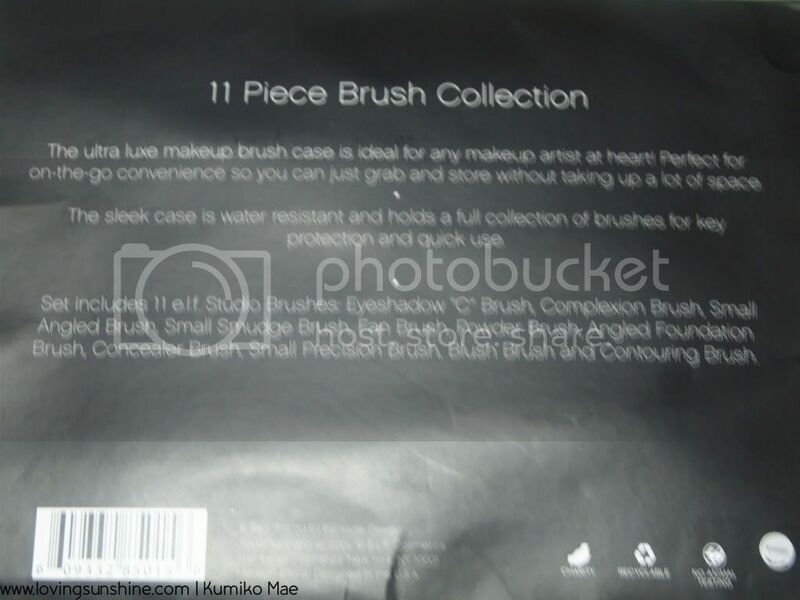 Notice how the names of the brushes are clearly written on the handles? That's a very convenient detail I love about this set. Brush-collectors should take a moment to try this brush set because it's very useful and is potentially a brush-to-boot after longtime use. 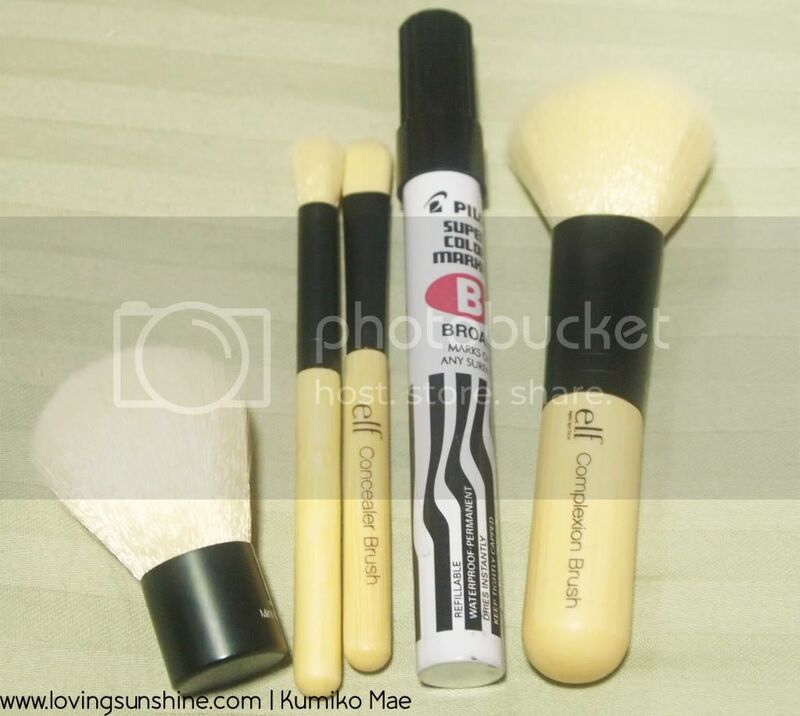 I have been using and washing my set and it's as pristine white as ever! This set is super affordable too. You may visit www.eyelipsface.com if you'd like to try this out (so you can order online or check if ELF is available in your country--pretty much they are!) However if you're from the Philippines, you won't see this set at ELF counters yet (as far as I know), and that's where super Suyen will help you be a happy make-up geek! Visit www.houseofflair.multiply.com. This is my trusted buyer, if it's your first time to shop online, my word's on HOF. You have nothing to worry about. I love ELF. They are super affordable. The brushes look nice. Thanks for the shout-out and pimpin' House of Flair! 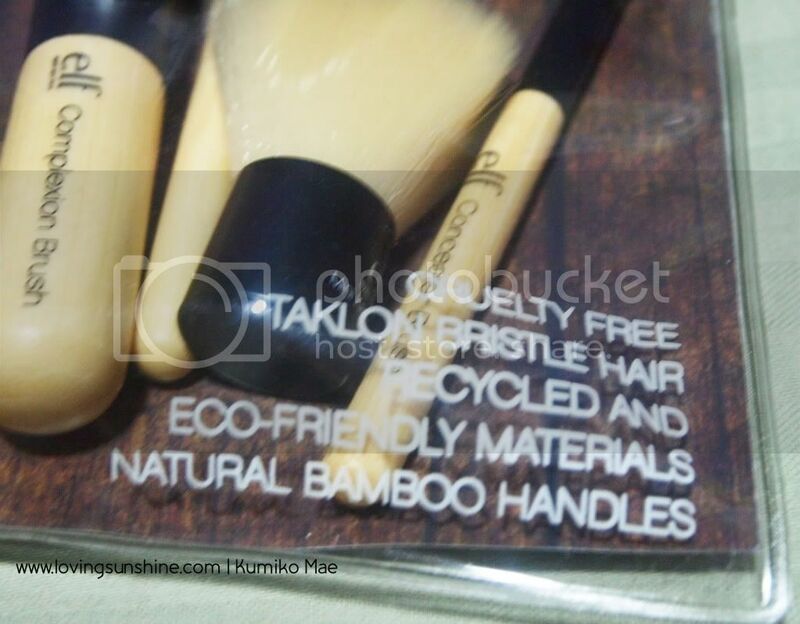 :) I love Ecotools and own a set myself. Hope we can grab coffee sometime! 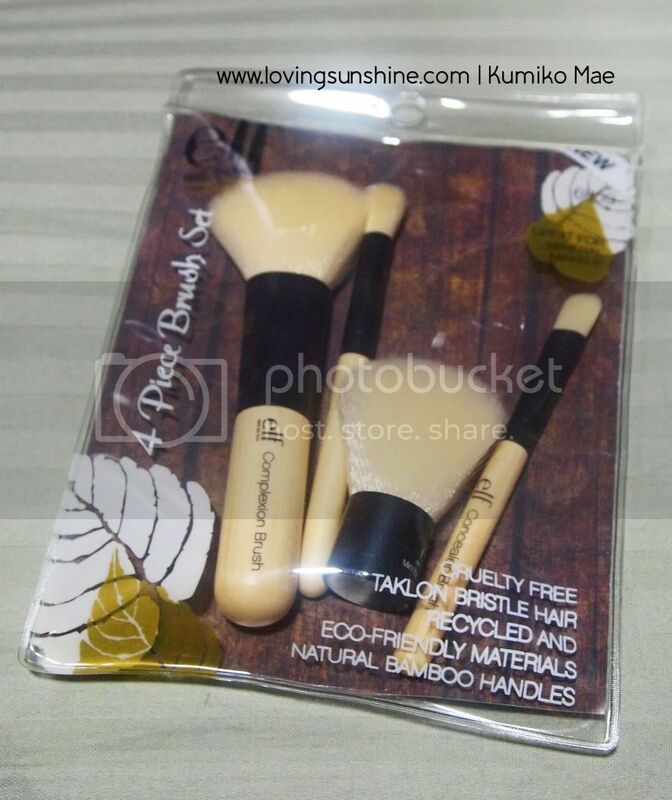 The brushes look great similiar to Eco Tools. But I have not really tried these to make a better comparison.